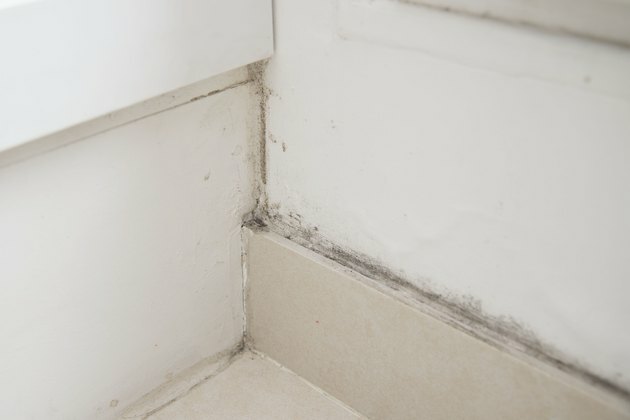 Constant rain and increased heat create the perfect breeding ground for mold, mildew and algae. Although commercial products clean and kill unwanted growths, homemade cleaners offer a cheaper alternative. If you're looking for a gentler yet still effective solution, clean with other products, including TSP, bleach and water. 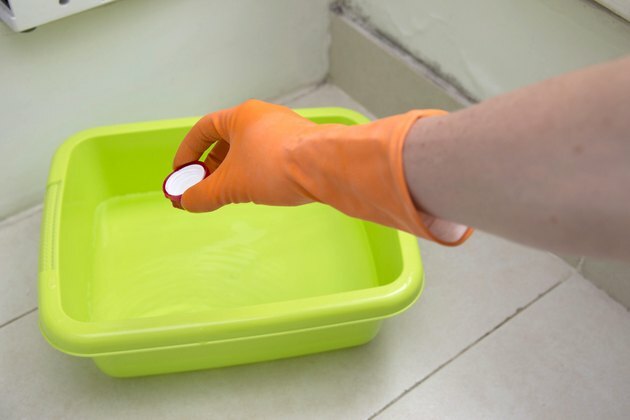 Clear the area of pots, cushions, furniture and other items. 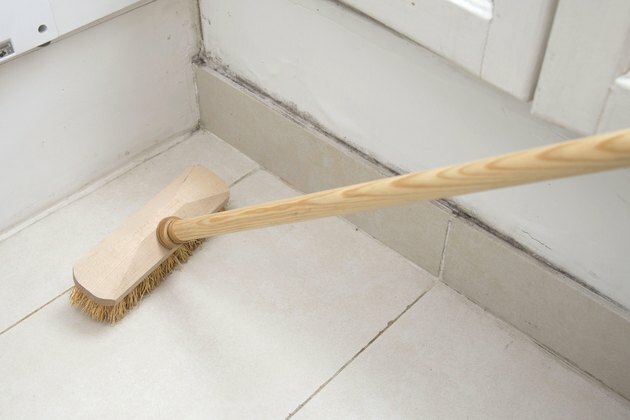 Sweep flooring with a broom and furniture or siding with a stiff brush. Don eye protection and gloves. Mix 1 gallon of warm water with 1-1/2 cups of trisodium phosphate and 8 cups of bleach in a 5-gallon bucket. Stir the mixture until the trisodium phosphate dissolves. 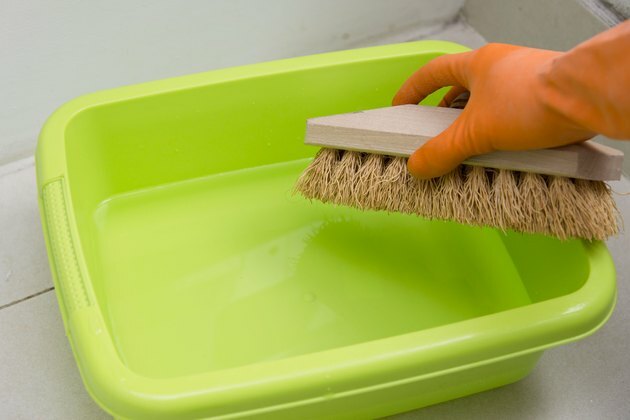 Dip a stiff scrub brush into the cleaning solution and scrub the dirty area. 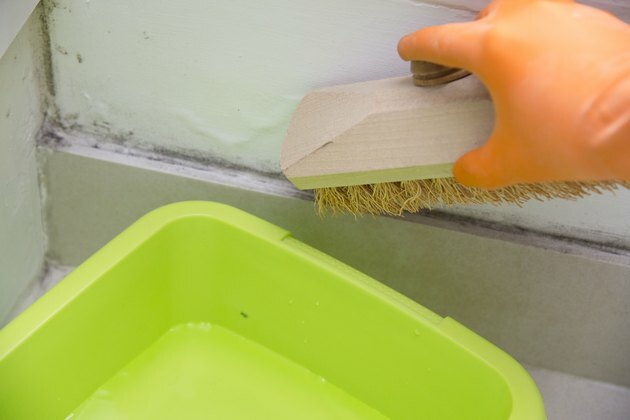 For heavy-buildup, allow the solution to sit on the surface for 10 to 20 minutes before scrubbing. Rinse the freshly-cleaned surface completely with a hose and use the nozzle end to loosen any moss or other growth that remains. 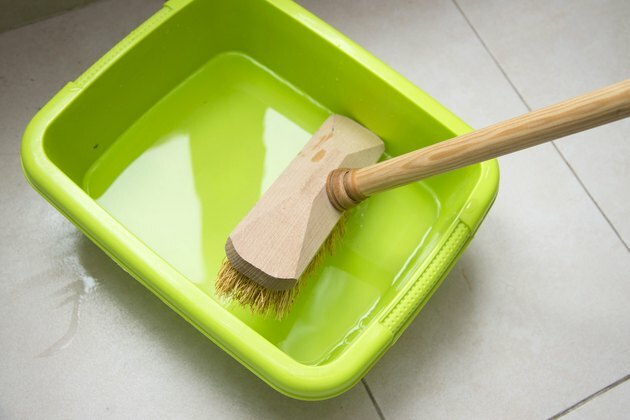 If the surface is clean but still stained, let the area dry and reapply the cleaning solution. 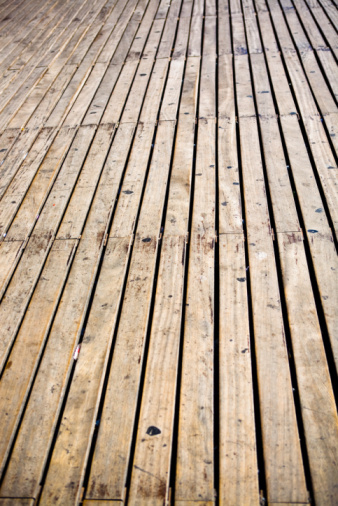 Clear the deck of furniture, toys and potted plants. 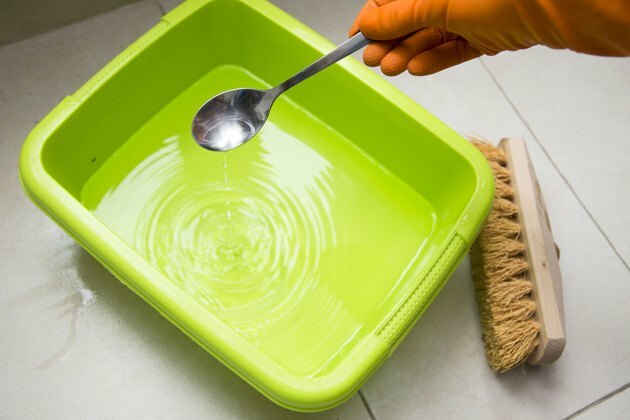 Prepare the surface by sweeping or spraying it with water. 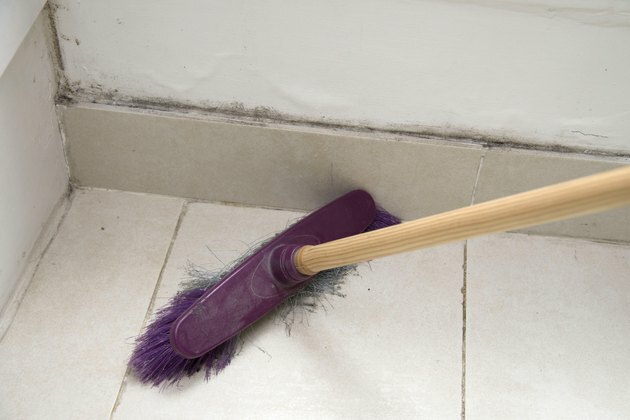 Loosen any large chunks of dirt or other growth with a broom. Pour 3 tbsp. of dish detergent, 2 cups of bleach and 1 cup of alcohol into a 5-gallon bucket. Add 1 gallon of water. Stir the mixture until everything is incorporated. Dip a long-handled brush into the cleaning solution and scrub it over the surface, going with the direction of the wood grain. Rinse the area completely and allow it to air dry.